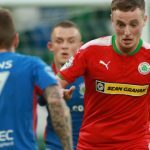 Cliftonville combined quality with fighting spirit to claim all three points from this afternoon’s Danske Bank Premiership clash with Coleraine. Ahead courtesy of Levi Ives’ latest free-kick heroics, the Reds rocked the woodwork through Joe Gormley before Rory Donnelly’s header made it 2-0. The Bannsiders reduced the arrears courtesy of Darren McCauley before the break but, despite being forced into some serious rearguard action after the break, Cliftonville stood firm and might have gone on to increase their winning margin before the close of play. 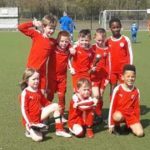 After standing up to some early pressure when the hosts forced a series of corners, including a fine block from Thomas Maguire – a late addition to the line-up when Jay Donnelly was forced to withdraw through injury – the Reds made the breakthrough on 11 minutes. Stephen Lowry’s foul on Chris Curran earned a free-kick just outside the box and up stepped Ives to curl home his third free-kick in as many outings. 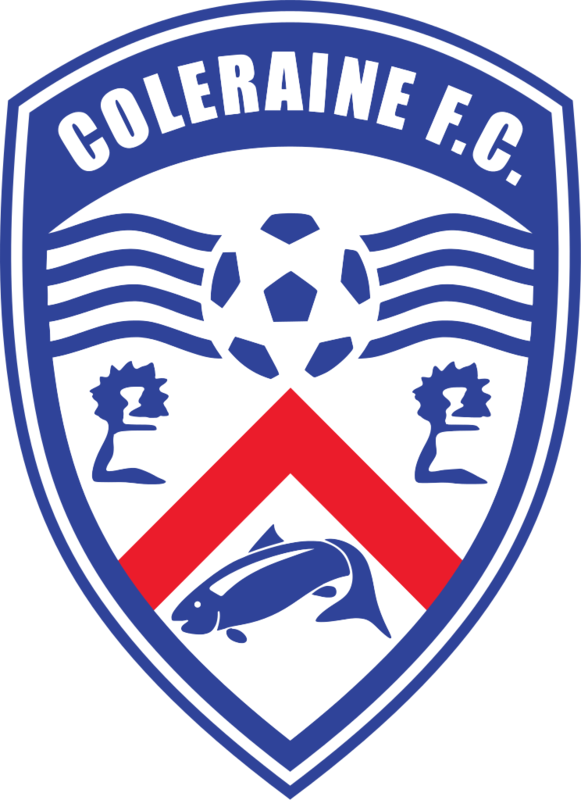 Jamie McGonigle blazed over the top for Coleraine before Joe Gormley rattled the woodwork with an effort from distance but it wouldn’t be long until the visitors doubled their advantage; Donnelly converting Chris Curran’s fantastic corner delivery. The Bannsiders pulled one back when McGonigle’s cutback provided McCauley with a simple finish from close range, but the Reds came close to restoring their two-goal lead almost instantly when an eye-catching passing sequence ended with Ryan Curran heading straight at goalkeeper Chris Johns. Opposite number Richard Brush came to Cliftonville’s rescue at the other end when, understandably distracted by a linesman’s flag that was raised and then withdrawn, the visiting defence were caught out by a Ciaron Harkin cross that McCauley was prevented from converting thanks to a superb save from the keeper. Gormley was unlucky not to find the net on the stroke of half-time when, after holding off the challenge of Gareth McConaghie, his shot was repelled by Johns, who picked the ball up after the Reds striker had attempted to retrieve the situation with a cross from a tight angle. 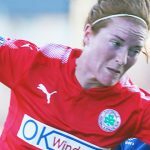 While a home onslaught was expected after the break, Cliftonville stood up strong and it wasn’t until the 60th minute that Brush was called into action again; McCauley denied by the stopper’s outstretched boot and, when Coleraine recycled possession back into the danger area, Aaron Burns’s looping header was nodded off the line by Garry Breen. It wasn’t long before the Bannsiders introduced Eoin Bradley from the bench in their bid to equalise and, indeed, win a penalty – and, sure enough, within minutes the striker had taken an inevitably comical tumble in the box under no challenge whatsoever and was hugely fortunate to escape without a booking from referee Lee Tavinder. Another Bradley dive went similarly unpunished as the Bannsiders resorted to desperate measures to restore parity, but they were very nearly killed off entirely when Gormley seized on Brush’s long ball forward and executed a lob that dropped just inches wide of the far post. Ryan Curran tried his luck with a couple of efforts from outside the box but the final chance of the game fell Bradley’s way on 88 minutes when, having miraculously stayed on his feet in bundling past Ives, he steered a low drive beyond both the keeper and the base of the post. 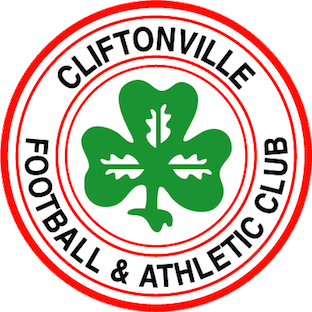 Cliftonville: Brush, McGovern, Ives, Breen, Curran, R Donnelly, Catney, Gormley, Lavery, Maguire. Subs: Neeson, Garrett (Maguire, 66 mins), McConnell (R Donnelly, 89 mins), McMenamin, A Donnelly, McNulty.